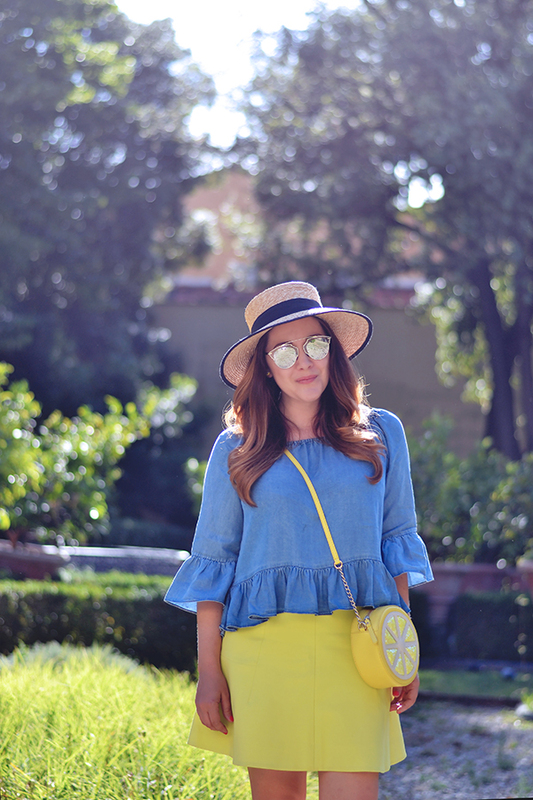 My lemon cross-body bag is probably my favorite summer accessory. Hopefully, you aren't tired of seeing me wear it! 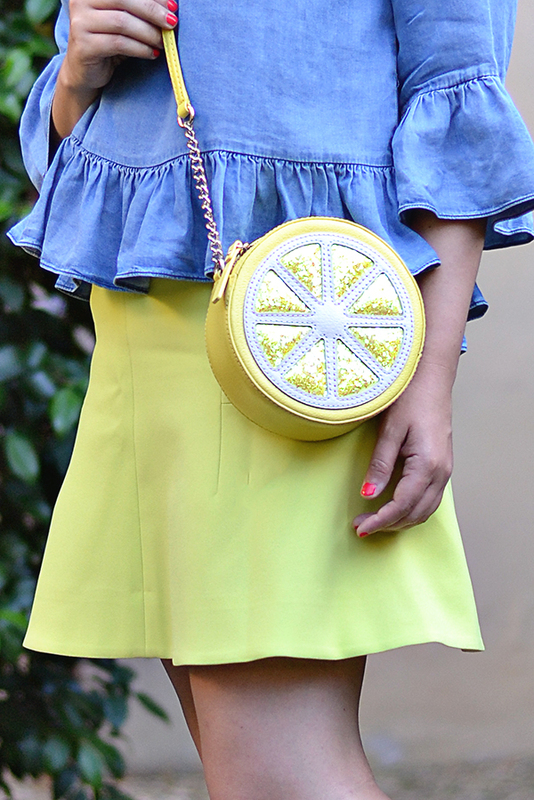 Thanks to its bright-yellow color, whimsical design, and ideal size and shape it is the perfect summer bag. 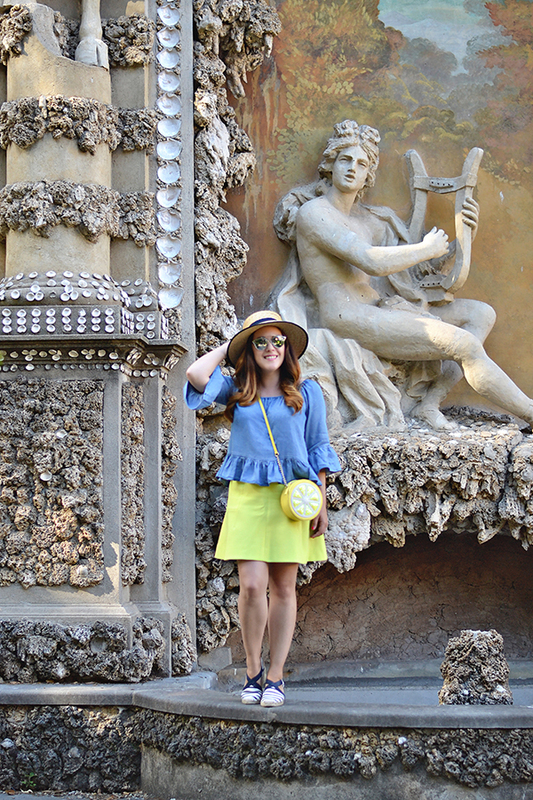 I picked up this cropped chambray top at Zara when I was last in Rome. 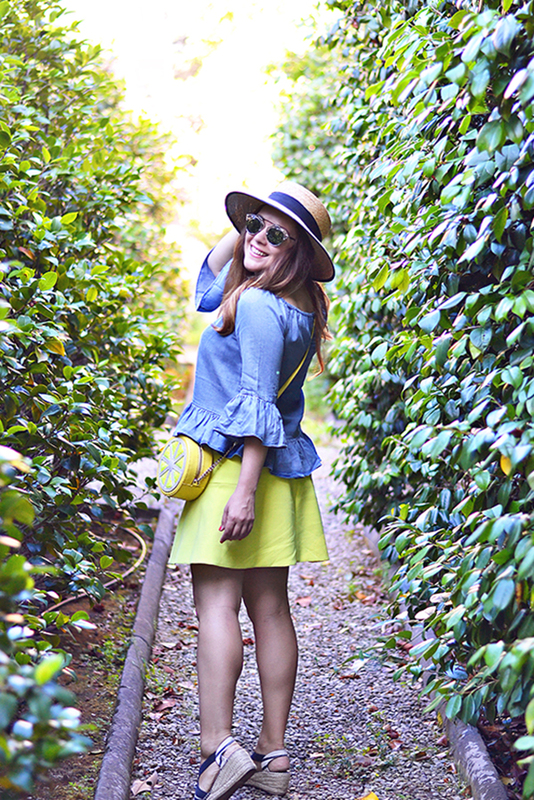 I love chambray pieces because they go with absolutely everything. 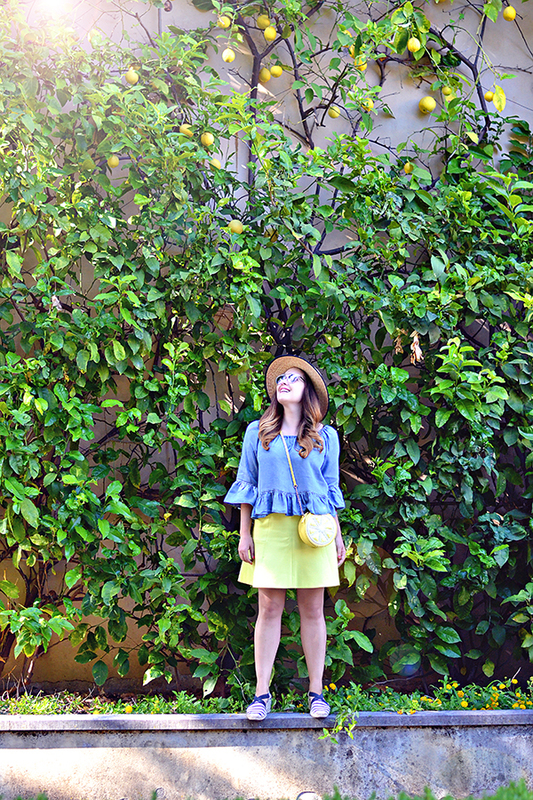 And I couldn't help but pair my favorite fluted skirt, in neon citrus naturally, with my lemon bag. I think they are a perfect pair! 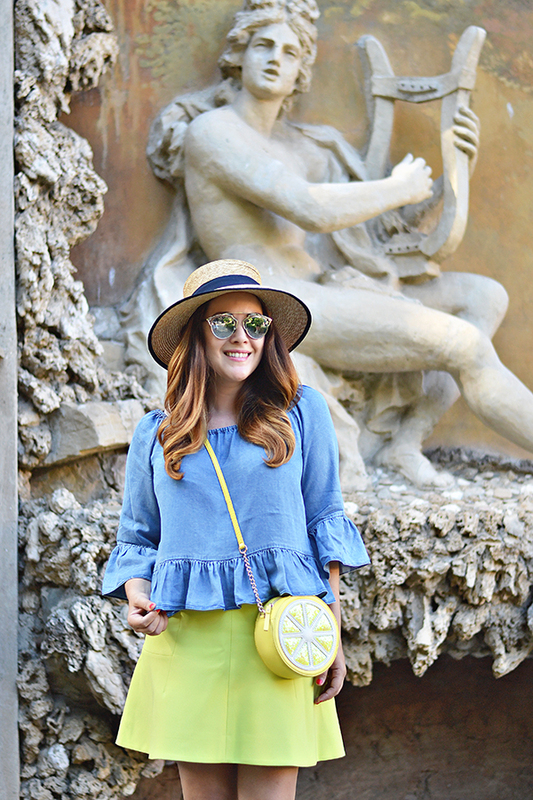 With a heat wave currently gripping Florence, I have been drawn to the same key pieces in my wardrobe - comfortable skirts paired with breezy tops and easy fit and flare dresses. I can't even bring myself to think about pants! These photos were probably one of the last days in Florence that I bothered to do my hair and makeup. Most days I show up to the scorching-hot archive without make up and my wet hair in a bun on top of my head. Despite the incredibly high temps, the weather has been gorgeous -- bright summer sun and a deep blue sky almost every day. Yesterday, my friend Jackie and I rented a car and headed into the countryside to enjoy sunflower season. Sunflower season in Tuscany is magic. The rolling hills are covered in an endless sea of bright yellow (and huge) sunflowers. It is breathtaking. You can see a sneak peek on Instagram and I promise to share more next week!